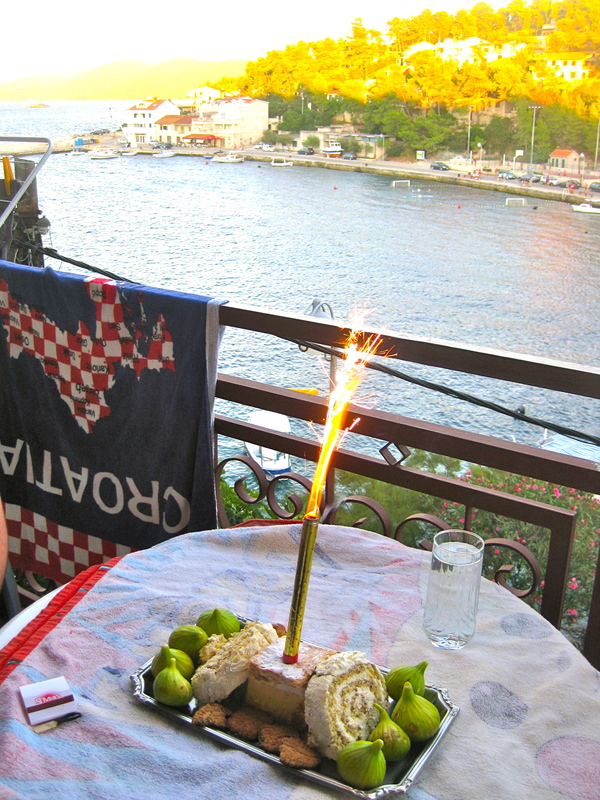 I just realised I forgot to blog about the food I encountered while holidaying in Croatia recently. 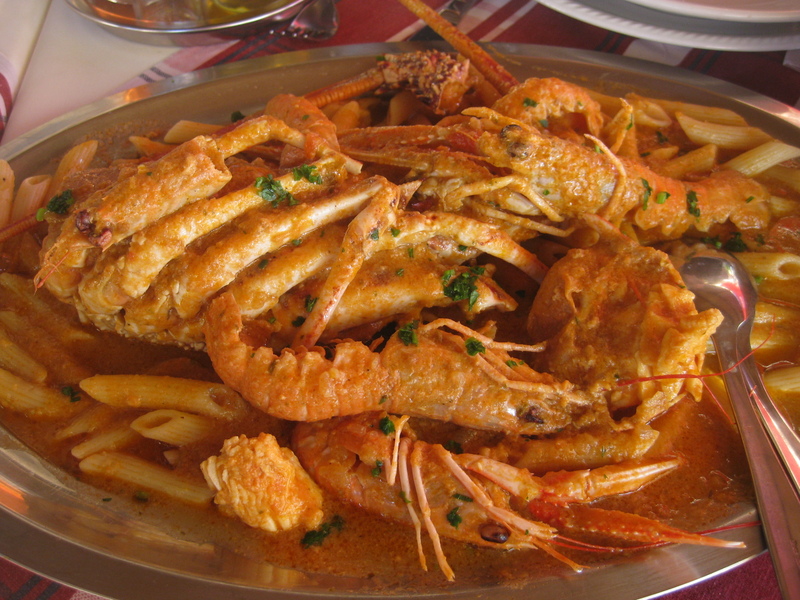 There were a few highlights, one of those being the Lobster meal we ate as a family on our last night in Prigradica. 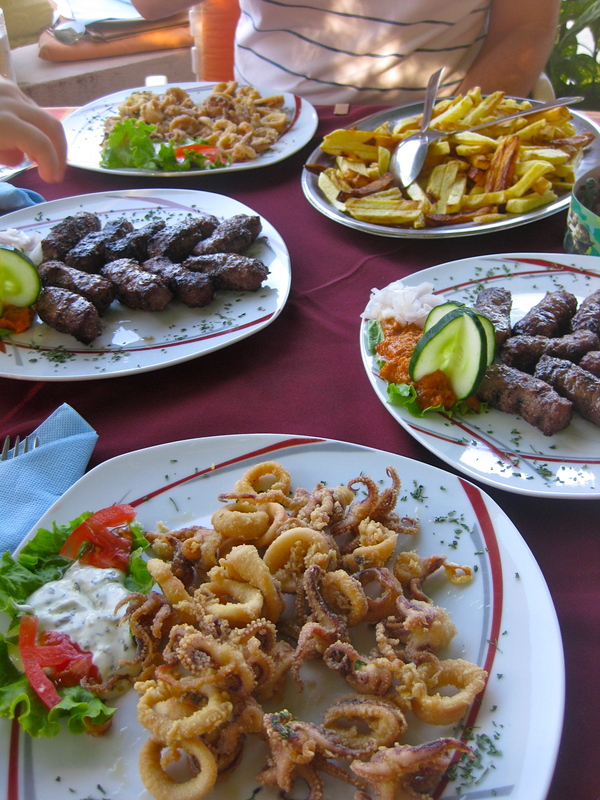 Dad had organised one of the local restaurants to cook us up a three course extravaganza of salted fish, octopus salad for entree, then lobster buzara for our main meal followed by grilled, whole fish and blitva. Not as glamourous as this special meal, were our daily lunches that I prepared in our little kitchen. VC was joining on the day this photo was taken, hence the three beers. Thought I better point that out so you didn’t question our drinking habits! The local beer is Karlovacko. A lovely, light typically European beer. This next shot is our first night at one of the local restaurants. We’d ordered a little too much food, because we didn’t know how big the serves were. We did manage to eat it all though. No surprises there. Whoa…it’s making me hungry looking at it. And finally, there was AT’s birthday. Obviously I couldn’t get a birthday cake going, so I got some sweeties from the bakery in Blato instead. Mum found a sparkly candle that impressed the boys. You can see a vanilla slice type of pastry and the two white, rolly cakes on the side were this amazing coconut cake. OMG, I was in heaven eating this. The figs were given to us by the old lady who owned the apartments we stayed in . She knocked on our door with a plate full of these ripe and tasty figs from her tree.